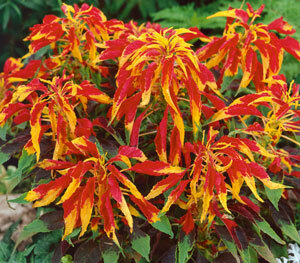 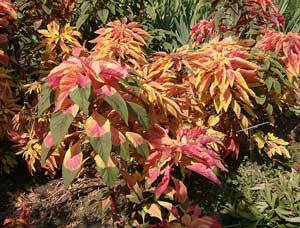 This is Amaranthus tricolor Early Splendor, also known as Summer Poinsettia, Josephs Coat, Tampala, Chinese Spinach, Vegetable Amaranth, and Een Choy. 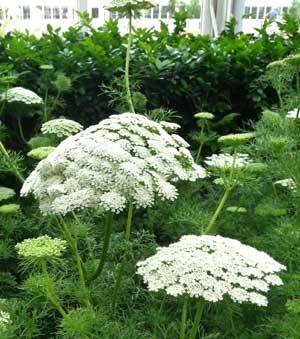 Growing up to about 3 feet tall, this plant likes to live in the full sun where it will bloom from the middle of the Summer until early Fall. 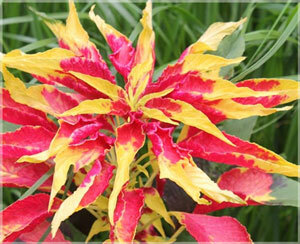 The beautiful burgundy leaf color is very striking.These plants should not be eaten if they are grown with nitrogen based fertilizers, but if they are grown organically they are a very versatile plant. 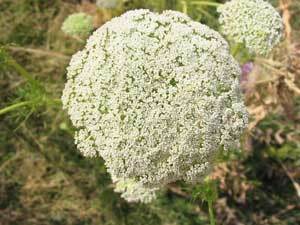 The stems leaves, and seeds are all edible. 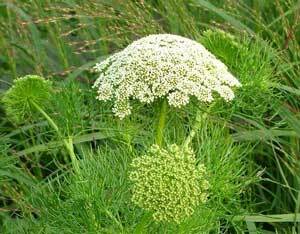 The stems and leaves can be eaten raw or cooked much like spinach, and the seeds are soaked, rinsed, and then cooked before being eaten. 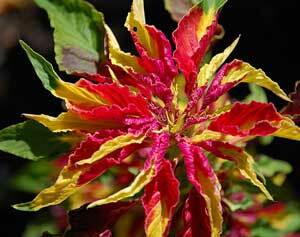 Amaranthus are larval host plants for the Mazans Scallopwing, Common Sootywing, and Mexican Sootywing butterflies. 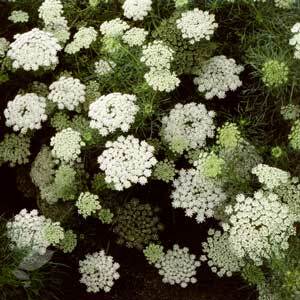 This is Ammi visnaga Green Mist, also known as False Queen Annes Lace, and Toothpick Weed. 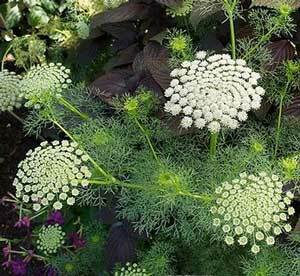 This annual plant can live in full sun or partial shade where it grows about 3 feet high at most and blooms from the middle of the summer until early Fall. 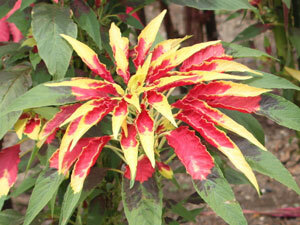 Some people like to chew the leaves and claim that they have a very nice flavor. 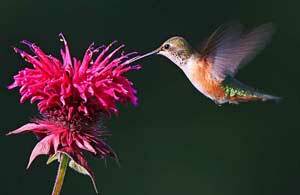 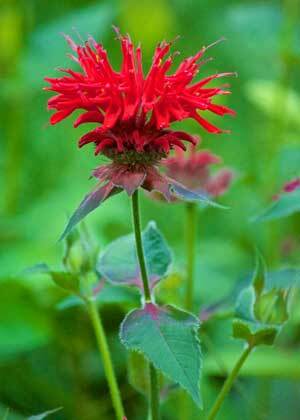 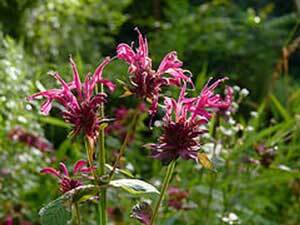 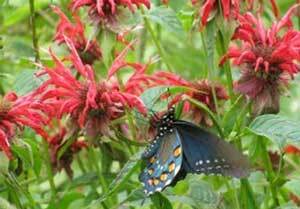 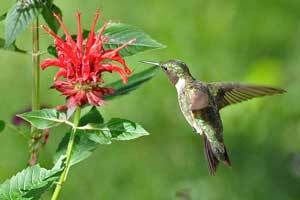 This nectar rich flower is a big bonus for any beneficial pollinators.